The following materials have been customized with Wisconsin contact information. Free print copies in English and Spanish can be ordered using the order form below. The Milestone Moments includes a comprehensive list of milestones and positive parents tips for parents of children age 2 months to 5 years of age. 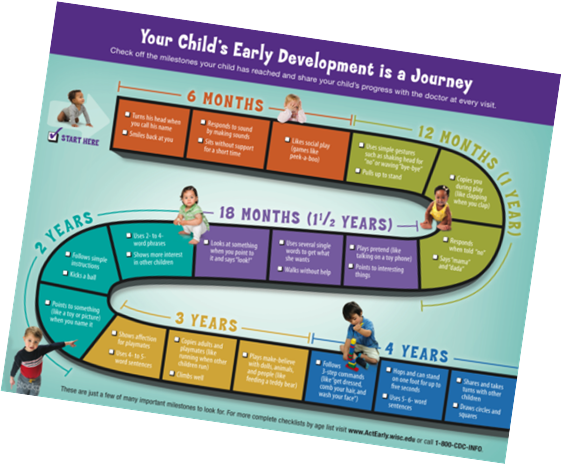 The Tracking Development Brochure lists a few important milestones for ages 6 months to 4 yours of age using a game board format. 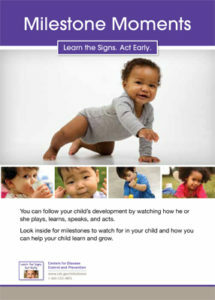 The CDC offers a wide range of free materials and other resources. Most materials are available in Spanish, and many are available in additional languages.